You know those days where you don't get out of pajamas and feel like you have someone tugging at you all day long? That's a mama's day right there. As I was rushing around like crazy to get my daughter to finish her homework and off to gymnastics on time, I saw this frazzled mama of three trying her best to keep up. She was carrying one in a baby Bjorn, the middle one was trying his best to peddle his big wheel down the street and the oldest was up pushing away at his strider bike. I about pulled my car over and cried. I wanted to hug her and tell her to enjoy every single second of this craziness and that it all but passes too quickly. 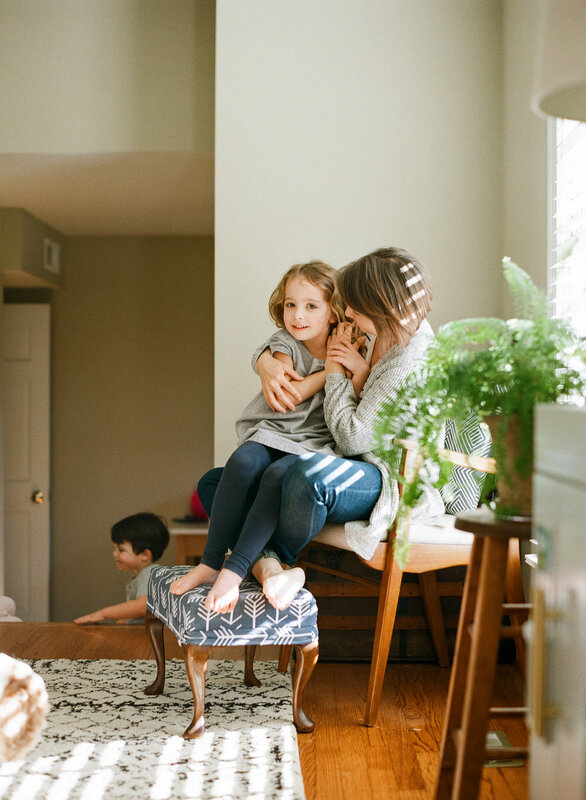 I wanted to reassure that sweet mama that she will SO MISS these small, stressful moments one day as she's whisking away another child to another after school activity. When you're stuck in the everyday cleaning up messes and wiping away tears, you often forget how simply amazing the mundane truly is. 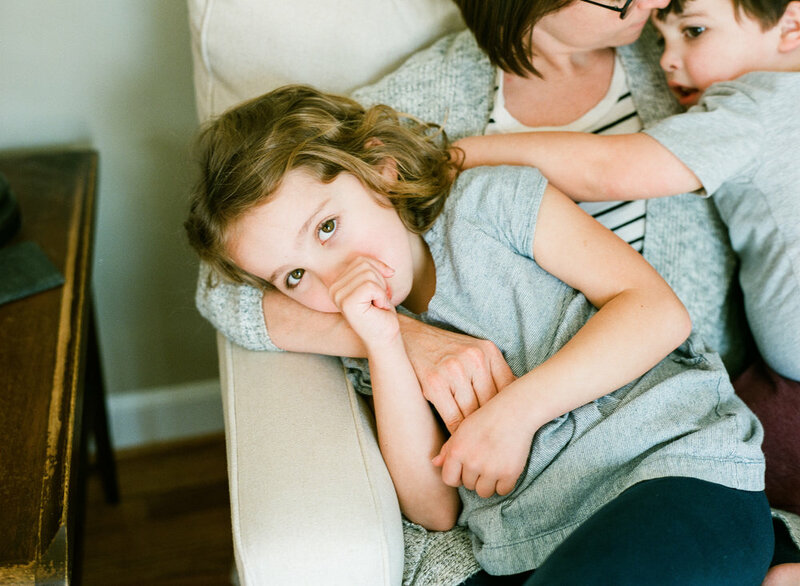 It often seems like time stands still during these moments and bedtime won't come fast enough. But oh mamas, it does. It's moving SO fast that often you can't even see it. You can't see how much or how quickly your babies have changed and grown all the while you were cleaning messes and feeling maybe a little bit lost. The job of a mama is the greatest job there is and whatever you are doing RIGHT now is exactly perfect. It doesn't matter that the laundry is going on cycle three through the wash....it doesn't matter that the dishes from last night are still in the sink....and it doesn't matter that you maybe haven't showered in a day or so. What matters is your babies and the love they feel from you.